If nothing else just to marvel at what it took to make this canal happen. It’s cut out of rocks at time when the best of tools were not available. It’s worth seeing for yourself. 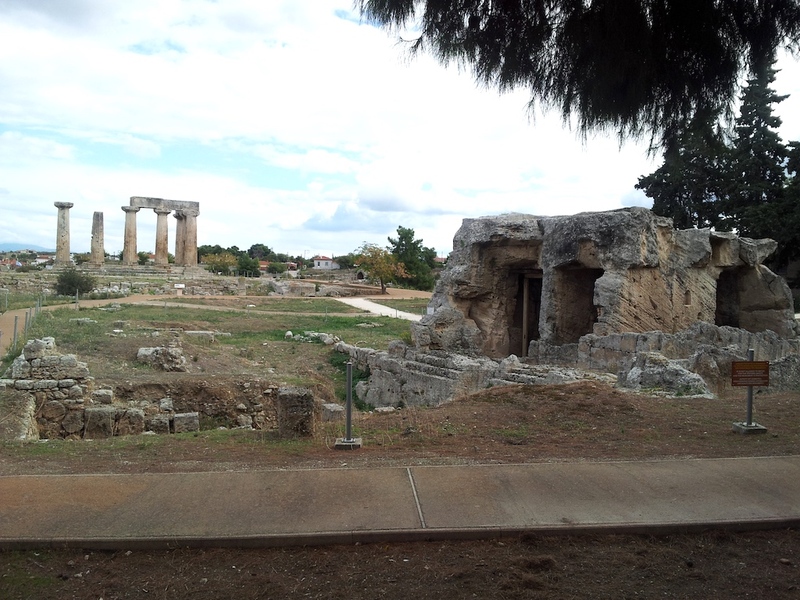 While here, check out Ancient Corinth as well. 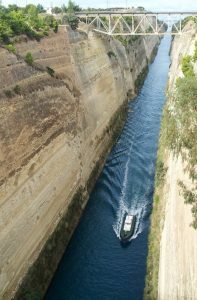 The Corinth Canal is located in Greece near the town of Corinth and the Ancient town of Corinth. It links the Aegean Sea with the Ionian Sea and allows ships to pass through rather than go all the way around the Peloponnese. 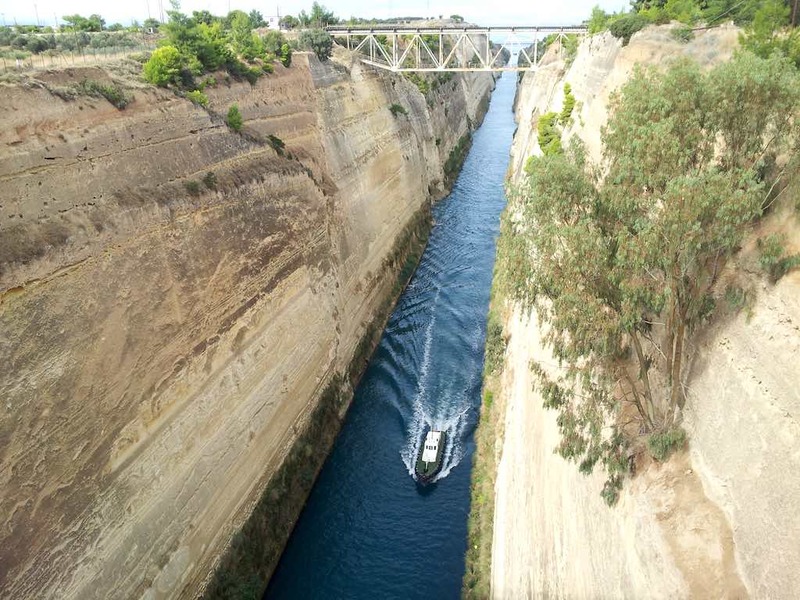 You can take the Greece Rail train from Athens to Korinthos and then take a cab from there to the Corinth Canal. Or take a 35 minutes walk says Google. Well, you can get to Athens by cruise ship. Then take a car to the Canal. 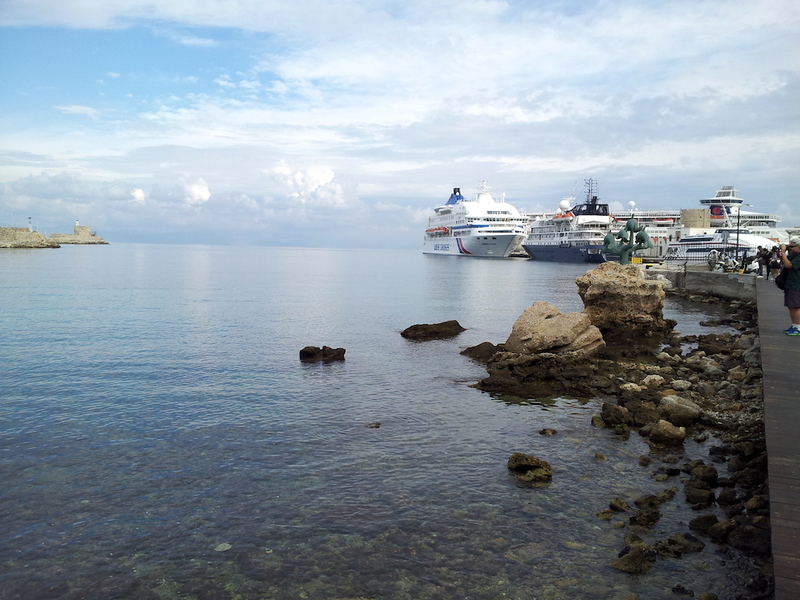 It’s Greece and the islands are also accessible by massive ferries. The closest major airport to Athens International (ATH). Austrian Airlines (OS), Aeroflot (SU), Alitalia (AZ), Astra Airlines (A2), Aegean Airlines (A3), British Airways (BA), brussels airlines (SN) , Condor (DE), ELLINAIR S.A. (EL), EasyJet Airlines (U2), Eidelweiss Air (WK), Eurowings (EW), Germanwings (4U), Germania (ST), Harmony Airways (HQ), Helvetic Airways (2L), Iberia Airlines (IB), Jetairfly (TB), Jet2.com (LS), Lufthansa German Airlines (LH), Links Air (W2), Luxair (LG), Mistral Air (M4), Monarch Airlines (ZB), Meridiana Airlines (IG), NIKI (HG), Norwegian Air Shuttle (D8), Neos Air (NO), Olympic Airlines (OA), Smart Wings (QS), Swiss Airlines (LX), Sun Express Germany (XG), Sky Express (GQ), TUI fly (X3), Transavia France (TO), Transavia (HV), Ural Airlines (U6), UTair (UT), Vueling (VY), Volotea (V7) and Wind Rose Aviation (7W) and Wizz Air (W6). You can just stay in Athens and do a day trip out. 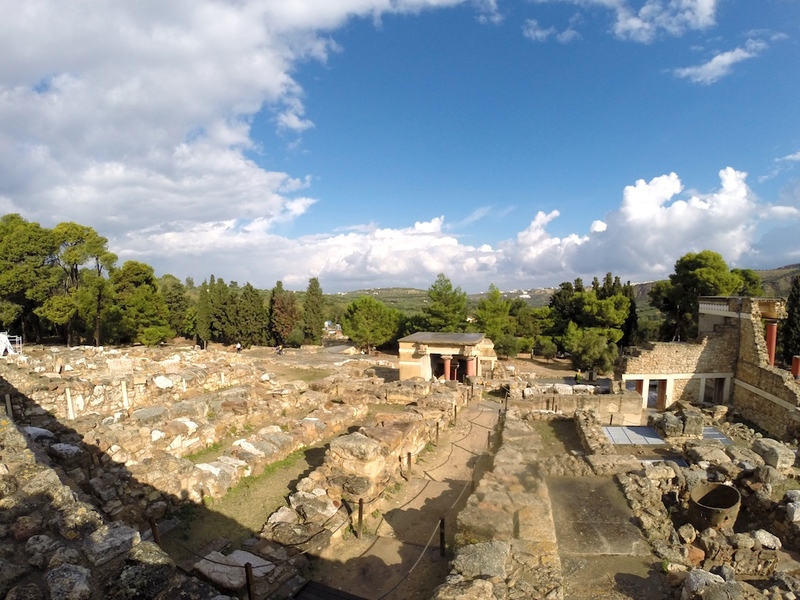 You may also stay in Corinth. You can find places in Corinth to have a meal. See the Canal. You can walk across it and also drive across it. It’s pretty amazing to see the boats come through. It’s quite narrow as well. 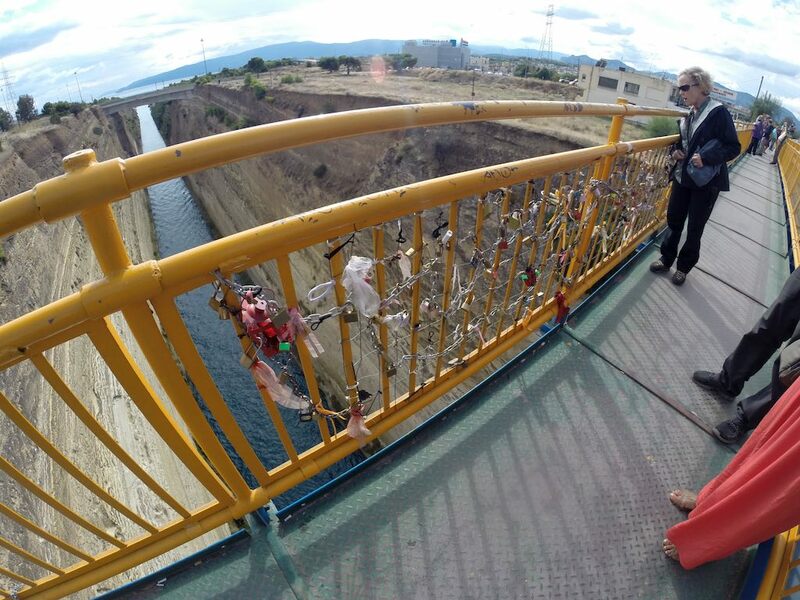 ==>> Here are some tours from Viator that will take you to the Canal. ==>> Here is some additional information from Lonely Planet.